Are you wanting to give back and help students navigate their career pathways? 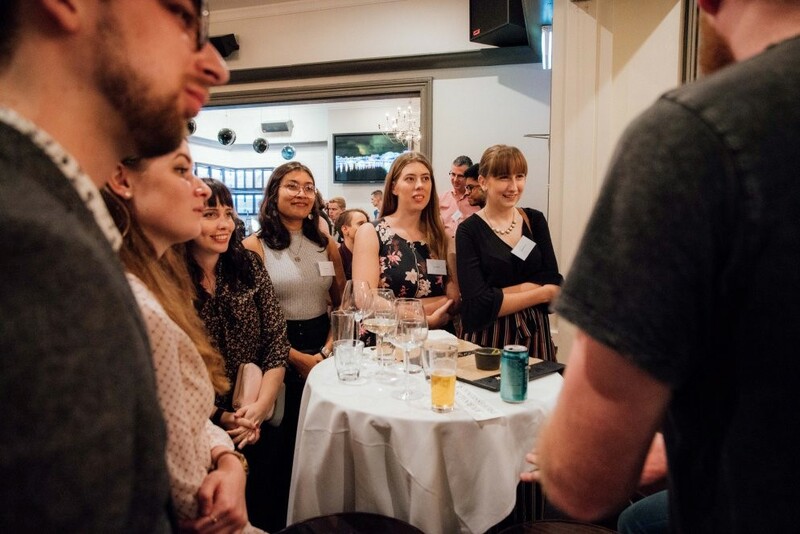 The HASS Student Futures team are offering support to student clubs and societies to expand their professional networks and offer discipline-specific career events to students. Alumni possess particularly useful insights and can provide helpful advice about the state of their respective industries and future job prospects. If you're a UQ alumnus/a interested in giving your time to help HASS students, email studentfutures@hass.uq.edu.au with some information about what you do, and we'll let you know if there are any events coming up you can help out with. This event featured a panel discussion from journalism and communications industry professionals Prof. Peter Greste, Pippa Sheehan, Dr. Amanda Olssen and Cathie Schnitzerling. The panel was followed by a round of speed-networking, where participants discussed the challenges in beginning a career, ways to overcome these challenges and key attributes professionals look for when hiring graduates and choosing interns. Many students made meaningful connections with professionals and came away with contact details for future meetings and opportunities for both paid and unpaid work experience. Are you a club or society executive member wanting to hold a career event? We can help with funding and organising - find out more here.